Pillars add a finishing touch of elegance to any StoneLedge™ or StoneVista™ wall project. They can be used to create distinguished entrance ways to any residence or business and the unit’s simple design greatly simplify the placement of lighting in the pillars. 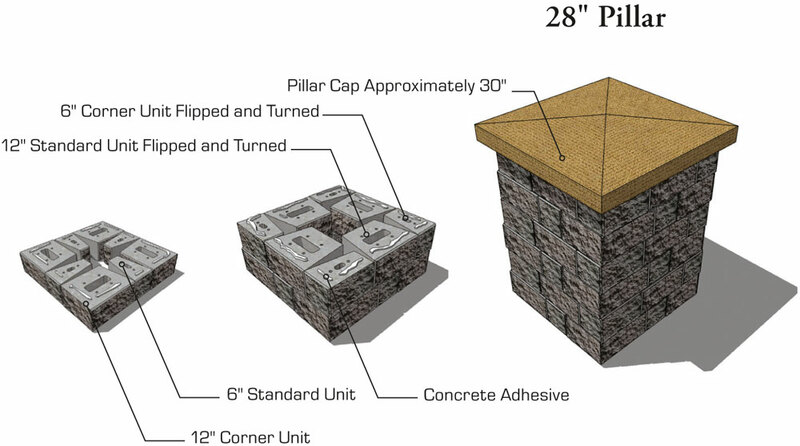 This section provides on how To build StoneLedge StoneVista Pillars with simple instructions.